Choosing a bag for business can be difficult. Get the choice wrong and you will be ridiculed by your peers, get it right and you will be shaking off compliments left, right and center. In this weeks blog post we take a look at the top 5 business bags for men. How to pick the perfect business bag. Firstly, you need to think of functionality, a bag that isn’t practical gets left in the closet. To avoid wasting your money and getting a bag you don’t want or need here are some tips on what to look out for. How often will you be carrying your business bag? Will you need to commute with it? If so, you probably won’t want a massive bag that makes everyone on the tube/bus secretly hate you. You also won’t want to carry a bag for a long period of time if it’s too heavy. You should also note that high-quality leather is heavy, add on top your personal belongings and your manbag just become an unofficial gym accessory. 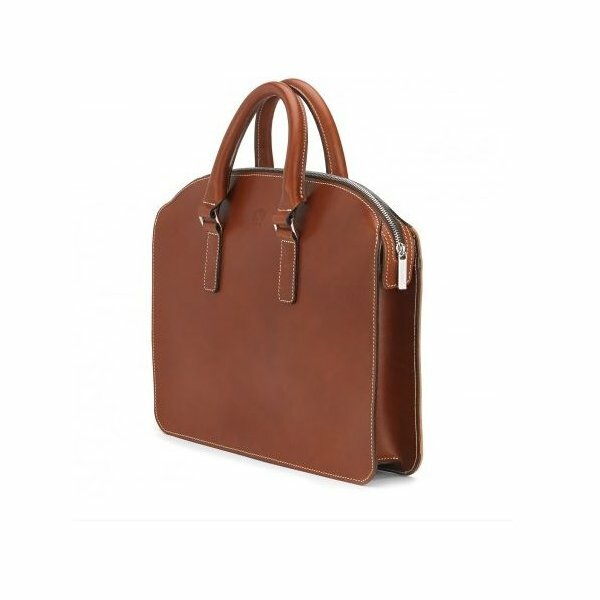 If you want an everyday functional business bag then a great choice is the Tusting Grafton leather briefcase. It looks professional, is made from high-quality leather and has beautiful stitching on the inside. It has two external slip pockets and three interal pockets to keep your documents and laptops/ipads safe and secure. 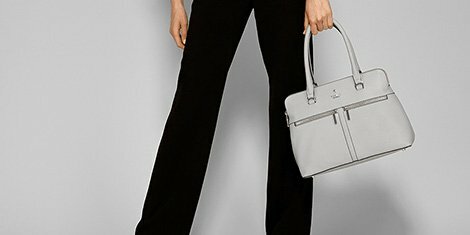 View the Tusting Grafton bag here. Depending on your job, you could be traveling around the city multiple times a day. If that’s the case you may not want to lug something as big as the Tusting Grafton around. A business bag like the Tusting Henley Briefcase may be more up your street. Not every businessman likes to carry a briefcase, and if you are in this crowd then we have a great bag for you. 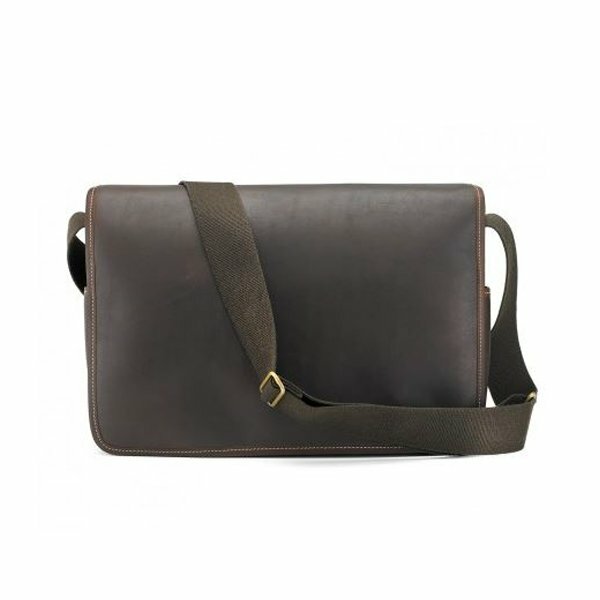 The Tusting Messenger bag in sundance leather is a great bag for someone who wants marry style with functionality. With more pockets than you probably need, the Tusting messenger bag has a tonne of room for anything business related. Laptops, phones, Ipads, documents and more can all be fitted in with room to spare. You can read more about the Tusting Messenger bag here. 4) Keeping your suit wrinkle free. Nothing ruins my day more than traveling for work and then changing into my new suit only to find it wrinkled. So frustrating. But this next business bag is the best way to keep your suits relatively wrinkle-free and saves you a trip to the dry cleaners. 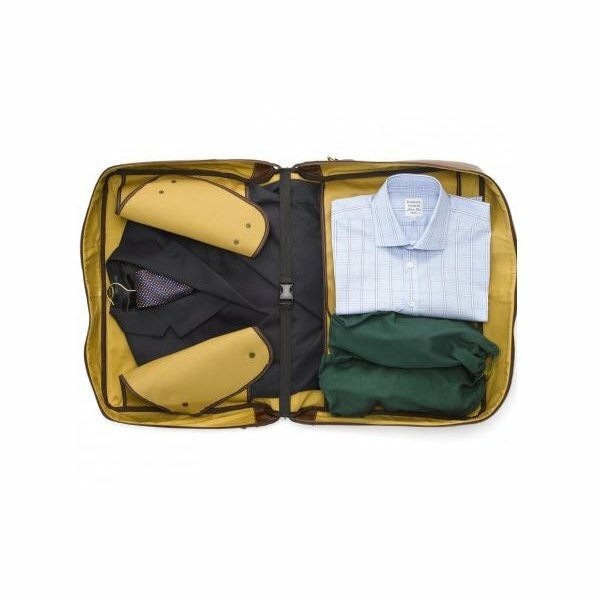 The Tusting garment bag has enough room to carry two suits with matching shoes and shirts. The external compartments also have ample room to fit your silk ties and cufflinks, keeping them safe and organised. 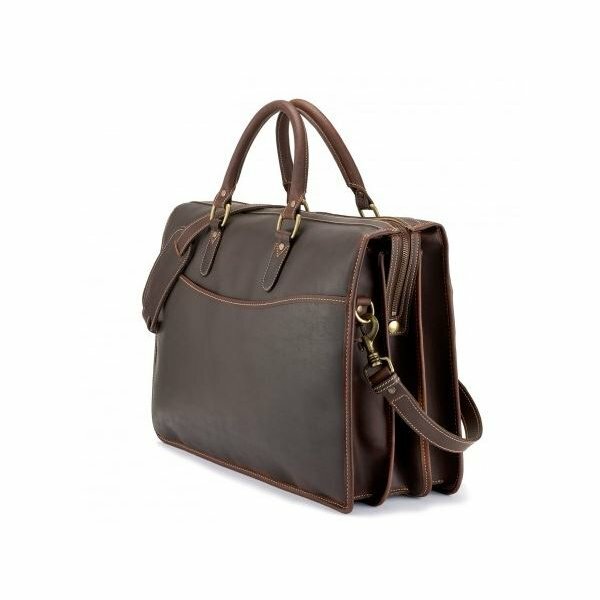 This bag is excellent for business trips lasting a day or two and in our opinion is a great statement piece. 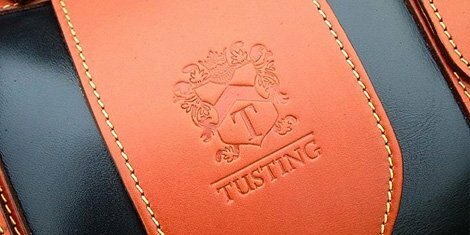 You can learn more about the Tusting garment bag here. 5) How holdalls used to be made. At one point in your career you are going to have to travel for business. If you need a bag that’s versatile and can carry most of your possessions a holdall is a great business bag choice. 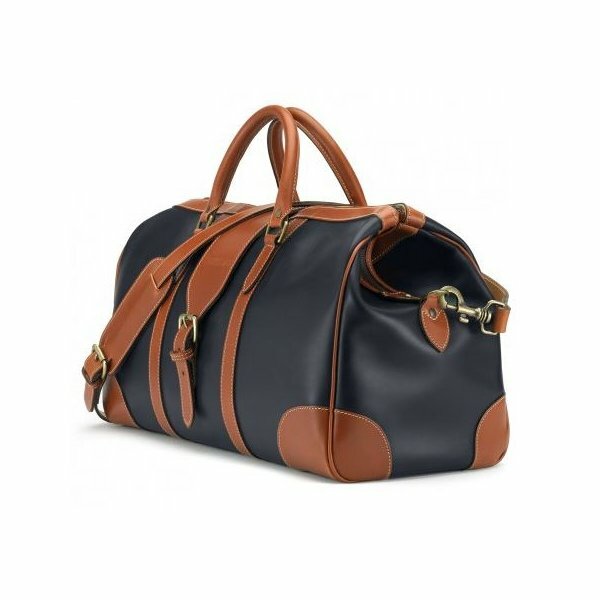 One of my favorite holdalls that we stock is the Harrold Chellington holdall from Tusting. Not only does it look amazing, but it’s also top quality and very functional. The Harrold Chellington is one of the best-made bags that we have had our hands on. The stitching, the leather, and the brass fittings are of the highest quality. You can clearly tell the men and women of Tusting put a lot of care and love into this bag. You can read more about the Harrold Chellington here. Hopefully, our post above has given you enough to think about when it comes to purchasing a bag for your business travels. If you have any questions about any of the bags mentioned above or any other product on this website please don’t hesitate to get in touch.